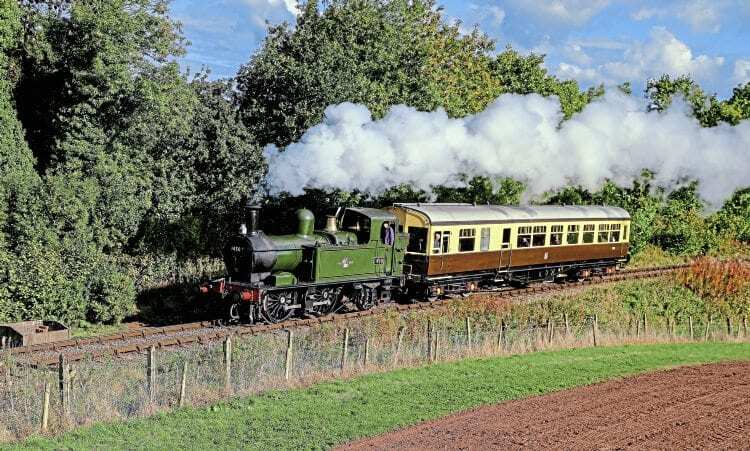 THE withdrawal of Kinlet Hall on the final day of the West Somerset Railway’s October gala was a poignant footnote to an event full of Western flavour. Jon Jones-Pratt’s No. 4936 ran with GWR-style reporting letters that spelled ‘BYE’, in a statement that left few visitors to the line on October 9 in any doubt that it really was the last runs of the ‘Hall’, which has been prematurely hooked from traffic with concerns over the integrity of firebox stays – having four years still to run on its boiler certificate. Preparations for its forthcoming overhaul have already been instigated and a boiler lift was due to take place before the end of October at Tyseley Locomotive Works, with an estimated turnaround time of two years.